Firewalld is a powerful and yet simple to use tool to manage a firewall on RHEL 8 Server/Workstation. Firewalld allows to manage open or close ports using predefined services as well as open and close user custom ports. How to open and close ports on RHEL 8 with Firewalld. How to open and close services on RHEL 8. How to reload firewall configuration. How to list open ports or services. 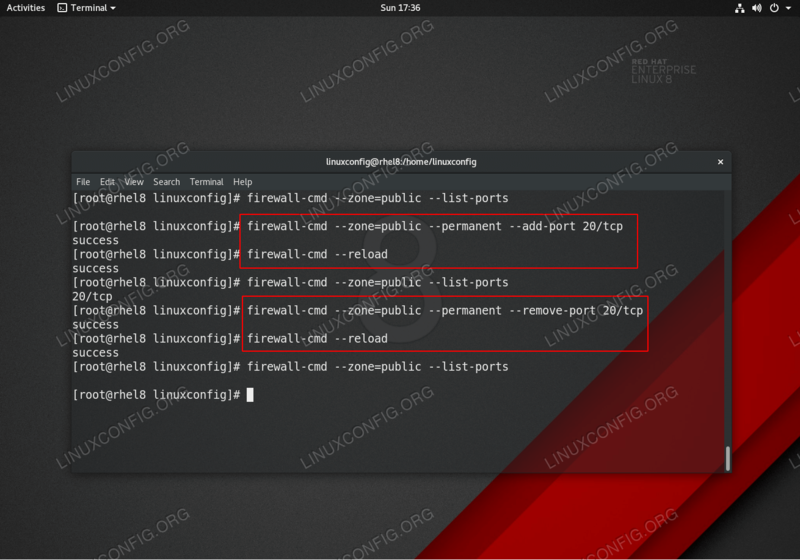 Opening and Closing firewall ports on Red Hat Enterprise Linux 8 using firewall-cmd command. In most cases you are interested in the public zone which is the default firewall zone for all operations without explicitly providing zone name as an argument to the firewall-cmd command. If the service you wish to configure your firewall with is available as a preconfigured feature as retrieved in Step 2 use its name to open the port.